Were you looking for Washington Long Term Disability Insurance (suitability standards and fraud) lawsuits? Policyholders purchase long-term disability insurance to protect themselves in the event they become disabled and can no longer carry out their job duties. Unfortunately, some long-term disability (LTD) policyholders have their disability claims improperly denied. Policyholders who have their long-term disability claim denied can appeal the decision, but should speak with an attorney first, to ensure their rights are protected throughout the process. Send your LTD Insurance Fraud claim to a lawyer who will review your claim at NO COST or obligation. Long-term disability is supposed to protect policyholders in case they become sick, injured, or otherwise disabled for an extended period of time and are no longer able to carry out their work-related duties. When that happens, policyholders file a long-term disability claim to have their benefits begin. Long-term disability plans often begin to provide benefits after a policyholder has been unable for work for six months, and the LTD plans typically pay about 60-80% of the policyholder's pre-disability earnings. LTD plans differ according to the terms of the plan, so each individual's plan needs to be reviewed accordingly. Unfortunately, some long-term disability claimants find that their claim is denied or is originally approved only to be terminated later. Often when long-term disability is discussed, it is mentioned alongside "ERISA." ERISA, the acronym for "Employee Retirement Income Security Act," is a federal law that was put in place to protect workers' pension plans. ERISA was expanded to also apply to employer-provided long-term disability plans. If you've purchased a long-term disability insurance plan on your own--i.e., not through your employer benefits plan--then ERISA law typically does not apply; state law governs individual long-term disability insurance plans. Because of this, it is best to seek the assistance of a long-term disability attorney to help guide you through any issues you might face as you file your disability claim. Also, while ERISA laws were enacted to protect workers' rights, unfortunately, ERISA is known to favor the insurance companies. Depending on the policyholder's circumstances, the policyholder may have to file an appeal before filing a lawsuit. If the disability insurance is purchased through an employer, the insurance is governed by ERISA. In such cases, any denials must first be appealed with the insurer. The appeals process must be exhausted before a lawsuit can be filed. The administrative appeal, however, involves a great deal of paperwork, and you may be required to file one or more of these appeals. The paperwork filed in support of the appeal will be the only evidence considered for both the appeal and—if the appeal is denied—the lawsuit. All evidence—including medical records, expert opinions, and other supporting documentation—must be included in the administrative appeal or it will not be considered by the judge in a subsequent lawsuit. If your long-term disability claim has been denied, you should first request a complete copy of your claims file from the plan administrator. Through ERISA, your insurance company is required to provide you with a copy of your claim file at no cost. This information is important to have in order for you to be able to identify and include additional evidence in your claim file. While the administrative appeal(s) needs to be exhausted according to ERISA, it is still wise to speak with a long-term disability lawyer to ensure you are following the LTD claim appeal process correctly, meeting your deadline dates, and adding as much supportive evidence to your claim file as possible. Note, if the insurance is purchased directly by the policyholder, and not obtained through an employer's benefits plan, the policyholder can file a lawsuit without filing an appeal of the denial. Policyholders have their insurance claims denied for many reasons. Sometimes the insurance company does not have an accurate picture of the claimant's work duties and believes the claimant can go back work. The insurance company might also claim that the policyholder is not as disabled as he or she claims, or that the claimed disability is not covered by the policy (this is sometimes the case with conditions such as fibromyalgia). In other cases, insurance companies may claim not to have received important documentation or not received information from policyholder's medical care provider. Or the insurance company might claim the injury is pre-existing, there is no objective medical evidence for the claim, or that there is no injury at all. One of the most common long-term disability denials, however, happens when the insurer claims that the LTD claim was filed too late. It is of utmost importance to ensure all key filing dates are met when filing your LTD claim. Insurance companies are required to pay claims in good faith—meaning the claims must be paid willingly, promptly, and properly. All denials must be made for legitimate reasons. When companies deny insurance claims for invalid reasons—such as to make quotas or protect profits—or otherwise breach their covenant of good faith and fair dealing, they are committing bad faith insurance. 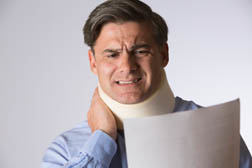 Bad faith insurance can also involve failing to promptly pay or investigate an insurance claim, not properly disclosing policy benefits, or failing to provide benefits as written in the insurance policy. All insurance companies have a claims procedure and have legitimate reasons for denying long-term disability claims. Just because an insurance company denies a claim for long-term disability insurance doesn't mean the policyholder has an invalid claim. There are many reasons for denying a claim that go beyond the legitimacy of the illness or injury. When claims are denied, policyholders have a right to have that decision reviewed. An experienced attorney can help with the insurance claims process, which can be long and complicated. If you have had a long term disability insurance policy falsely represented to you, or been denied a long term care disability insurance claim, you may qualify for damages or remedies that may be awarded in a long term disability fraud insurance lawsuit. Please click the link below to submit your complaint to an insurance lawyer for a free evaluation. Liberty Mutual Denied Disability Lawsuits alleging bad faith insurance practices and denying long-term disability insurance. Washington Long Term Disability Insurance alleging insurance fraud and denied claims. Oregon Long Term Disability Insurance alleging insurance fraud and denied claims. Idaho Long Term Disability Insurance alleging insurance fraud and denied claims. California Long Term Care Insurance alleging insurers negligently or fraudulently fail or refuse to pay benefits. LINA Insurance alleging violations of disability insurance claims. Long Term Care Insurance Las compañías de seguro para cuidados por largo plazo parecen estar negligentemente o fraudulentamente no pagando o negandose a pagar los beneficios. Unum Insurance for allegedly denying long-term disability claims. Fibromyalgia Sufferer Brings LTD Lawsuit agai..
Is a Health Plan Liable for the Negligence of..
UNUM LTD Claimants Must Beware of Exhaustion ..
Lincoln Financial Group is asking me to pay them almost 35k back. I know that is not what I sign up for, but when they stopped paying me over a year ago and left me without any income I figured we were done. I'm pretty sure I threw away all related paperwork since I had not heard from them in over a year. Now I think I'll be needing a lawyer.? Was told that because I went out on long term disability in 2009 that I would recieve payments until my retirement year. I was also tokld that my payment after getting Socia security disability that I would those payments and the long term insurance if I was permanently disabled up to the amount of my established long term payment until I retired as soon as I got social security they started sending monthlyrequired paperwork late and requested I pay back all disability they had given me? I know I was on serious meds because of my injuries but it felt scammy! Pleasrycall me I have much to say about this corrupt company, I would love to speak with thr media, as well as the EEOC, ERISA, the Federalelabor Board. Bring it on or are you scared. Have your Numbers with you because I will have mind! I have paid for long term disability through my employer for 21 years.I became disabled under UNUM guidelines and had been receiving payments. They suggest I file for SS benefits. They said it would lower their payment to make up the difference I receive from SS and what I was receiving for LYD. My SS claim was approved and had been handled by Genix. My case was approved and I received payment from SS as back payment for my application date. Unum is saying I have to pay them back for the back payments. SS's letter states the check is being issued to me and not a 3rd party. Do I have to give the UNUM company all of the back payment money I received from SS? Thank you. That sounds so much like me. I experienced a very similar situation where the Standard Insurance company denied my claim because I tried to return to work. I never got approved for the Ltd which I was forced to have and to pay for. It's terrible that on top of his illness, the pathetic system fought against paying him. I have been in two vehicle accidents and have had back surgery, resulting in chronic pain, failed back syndrome after surgery, spondylosis, degenerative joint disease, bulging discs, etc.... All physicians I have seen said I was unable to work. I have lost everything because I'm caught between 'them' and 'us'. I have since remarried and moved to the UK. I have a person who is supposedly working on this, however it's been months. I tried handling it all on my own but got nowhere. I appealed through Prudential and never received a reply! I receive social security and was getting pension from GE. And they sent a letter informing me it was in error. I have a copy of the terms and do not see where this is. I have sent a certified letter and still no reply.